The Hospital Safety Grade scores hospitals on how safe they keep their patients from errors, injuries, accidents, and infections. 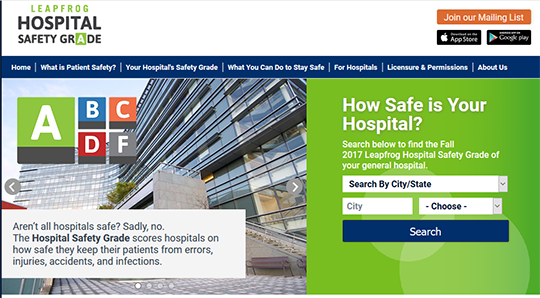 Consumers can search to find the latest Leapfrog Hospital Safety Grade of their general hospital. Consumers can also compare how their state compares on patient safety.